Undoubtedly, we are on the verge of seeing a mobile revolution. To prove this fact, the mobile app industry is expected to generate the gross annual revenue of 189 billion dollars by 2020 according to a study led by Statista. Consumers are evolving at a speed higher than that of businesses. 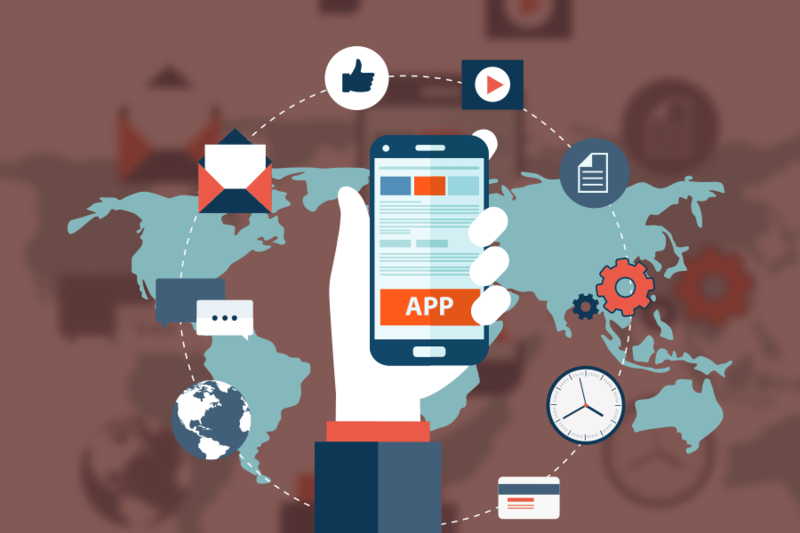 This has led to a substantial rise in the demand for mobile apps. However, there are only a few leading brands who consider the mobile device as a catalyst to grow their businesses while others consider them as another development channel. Well, businesses will soon understand the power of mobile apps. Today, Starbucks has nearly 13 billion mobile app users and around 7 million users perform transactions every week. These numbers are quite fascinating. But the truth is that it was not an easy task for Starbucks and to hook up their clients with the mobile app was challenging. Starbucks sighted this early that led them to early adoption and innovation. Their mobile app was created to be in line with that of customer purchases and it provided them with much-required convenience. Even though there was a time when Starbucks failed to create excitement among its users, it has an altogether different success story today. Today, their mobile app is making several customers happy with the mobile ordering service allowing them to pay, tip baristas and participate in reward programs. It has also gone far to provide an excellent offline experience for its users. The chief of product, Joe Gebbia says that their mobile mission was inspired by the story of ‘Snow White and The Seven Dwarfs’. For them, it was a dance between the online and offline. They finally realized that the key linking between online and offline was mobile. And this led the brand to launch their first app. Not only this, Airbnb utilized both of their available options for the mobile site and mobile app. Along with introducing a brand new app, Airbnb also updated its mobile site with features like chats between guests and hosts. In 2012, they moved forward to introduce an in-app referral program for the app users. These referral codes added popularity to the brand name and ultimately helped in their growth. Loyal customers are pivotal to the growth of any brand. Generally, brands avoid experimenting with their loyal customer base and step back in taking risks. Hence it was a story of a risky start for Dunkin’ Donuts. But they did not step back and gave it a shot. It was only till 2014 that Dunkin Donuts offered paper and web-based loyalty program. Then it was a new beginning as they decided to go with the mobile way. The Chief Global Marketing Officer of Dunkin Donuts said that the whole world was devoured by the mobile and hence they had to take the risk. Later, they also revised their mobile app for in-app discounts and location-based benefits. The example of Coca-Cola shows how to embody a mobile experience to get closer to the end users. They merged with a social music app in partnership with Spotify and launched it in 2013. This gave a unique opportunity for the app users to combine the physical experience of drinking the coke and a virtual experience of mixing that moment with a music playlist. Apart from this, the brand also provides a mobile experience that is thought-provoking and realistic at the same time in their campaign call ‘Reasons to Believe’. It has also provided value to its customers through their campaign named ‘Movement is Happiness’ by insisting them to live a healthier lifestyle. These are some of the brands who understood the real power of mobile apps and offered unique mobile experience to their users. What’s unique about your mobile app? Let us know your thoughts in the comment section. Older Dedicated App or Mobile Website?